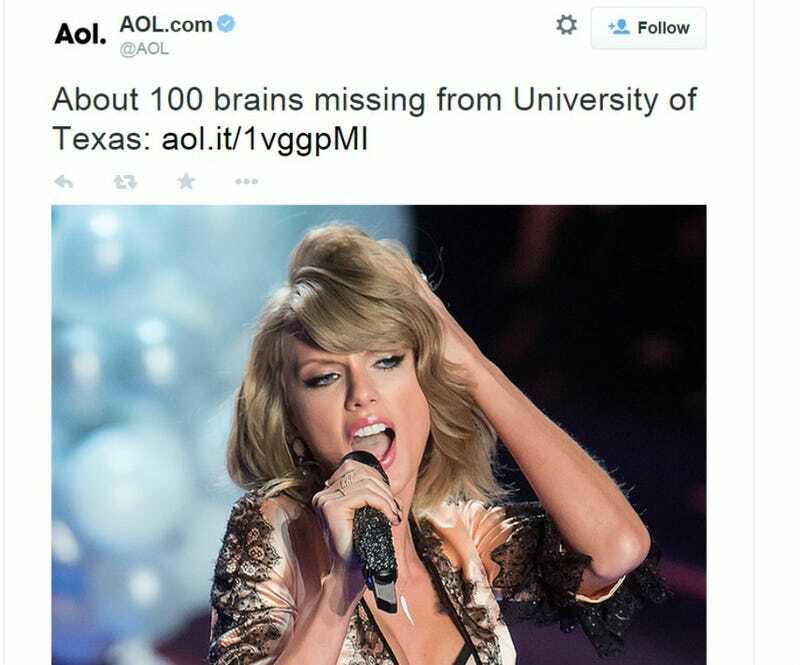 Did Taylor Swift Steal 100 Brains From the University of Texas? About 100 brains have gone missing from University of Texas at Austin. The brains have exited the lab. Nobody knows where they've gone. And despite AOL's tweet from this morning, T. Swift has a pretty solid alibi... For last night, at least.